Ezone will soon be dropping a pretty strange and funky driving game into Switch owners’ hands. Car Quest launches for Nintendo Switch eShop on October 25. Explore a surreal, minimalist world with the game’s titular four-wheeled hero. Buckle-up for an epic road trip through a colorful world of puzzles and adventure. Use driving skills and puzzle solving abilities to find missing artifacts and piece together the broken world of Blocktaria. 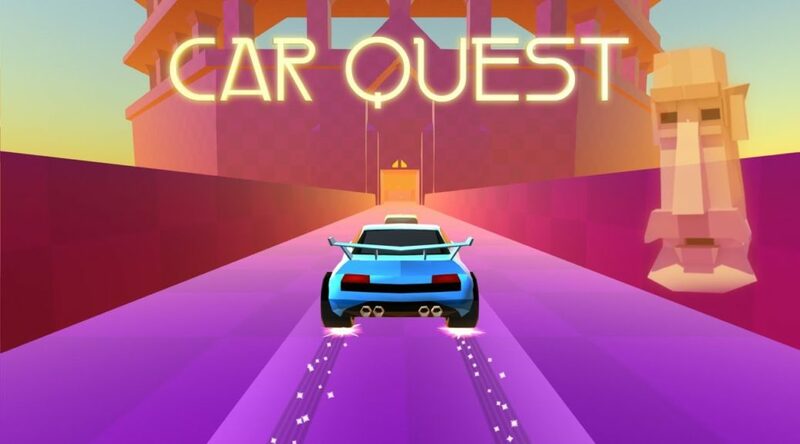 Car Quest is a brand new game coming exclusively to the Nintendo Switch™️ October 25, 2018. DRIVE everywhere: it’s like your favorite kart racing and platforming puzzle adventure game all wrapped up into one. COLLECT batteries to unlock portals and recover 100+ artifacts to unlock new realms and paths on the road to discovery. EXPLORE more than 15 unique visually striking realms that will draw you deeper into the colorful world of Blocktaria. Solve physical puzzles and recover artifacts to unlock new realms, locations, paths and secrets. SOLVE physical puzzles, push obstructions, jump off ramps, or skillfully navigate challenging mazes. DISCOVER the secrets of Blocktaria and recover the lost memories of your helpful but very forgetful guide, Lord Blockstar. What is his story? What secrets will be revealed?